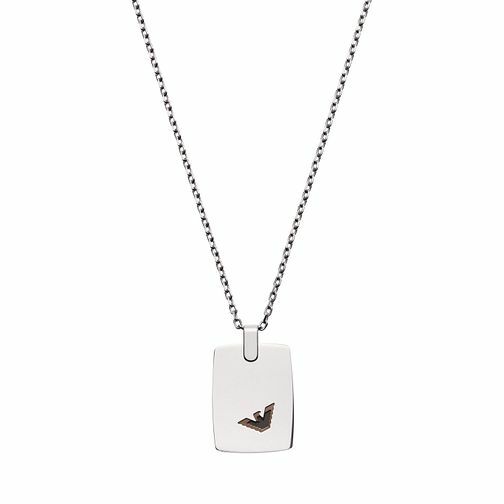 Enjoy a style inspired by militaristic sensibility with this Dogtag by Emporio Armani, marked by the iconic eagle emblem. Practical, stylish gifts for any occasion. Emporio Armani Men's Stainless Steel Dogtag Necklace is rated 4.0 out of 5 by 1. Rated 4 out of 5 by Anonymous from Great necklace Bought this necklace for my son's birthday. He really liked it. Was a bargain as it was in the sale. Ordered online and picked up on my local store.